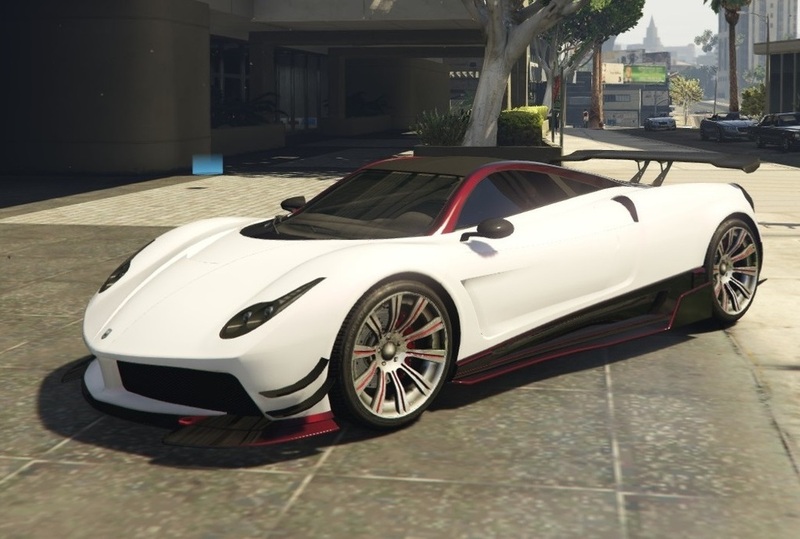 White Pegassi Osiris GTA 5. 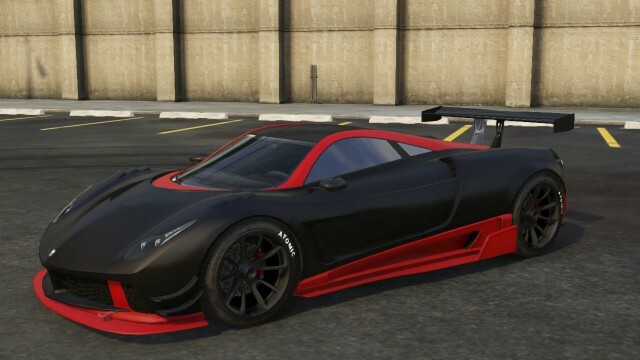 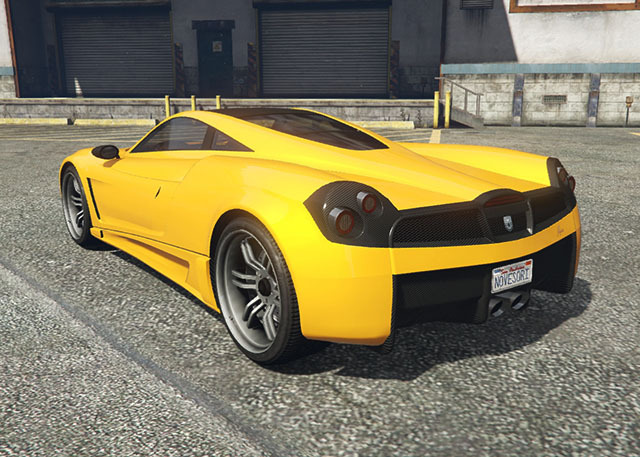 The Osiris is heavily based on the Pagani Huayra, and its front end resembles LaFerrari. 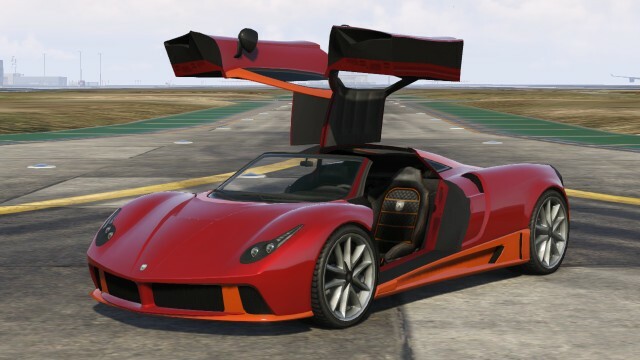 It’s one of the 2 cars in the series to feature gull-wing doors, the other being the Stirling GT, which was released in the same update. 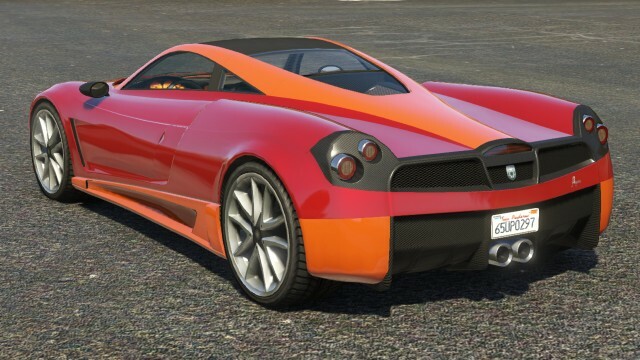 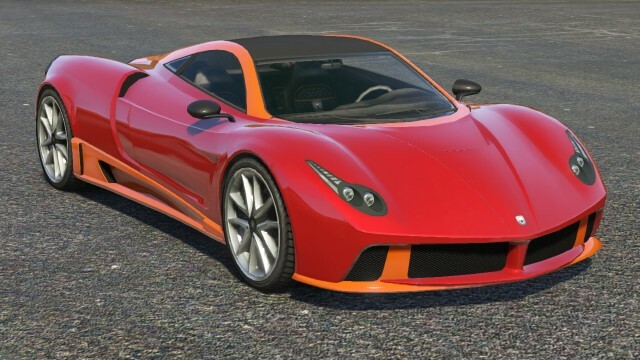 The car features the popular ‘Frog-Eye’ headlights, and the hood has a similar approach to the Grotti Cheetah, having a ‘V’ Shape raised hood. 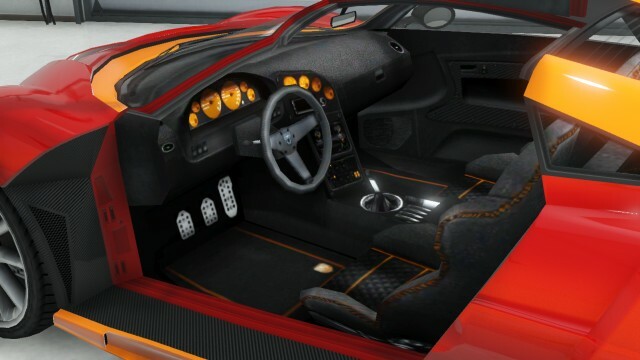 The rear is disproportional to the main cab, as the cockpit is further towards the front than the back, showing the car has a powerfully large engine. 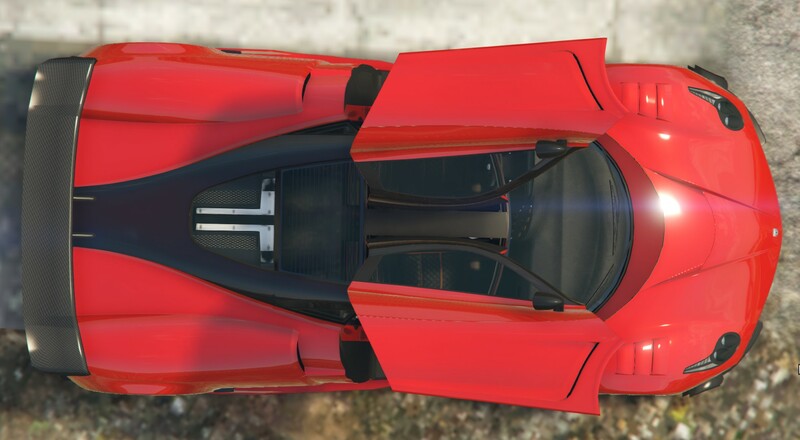 The rear also features intakes on the sides, both on the top and on the skirts. 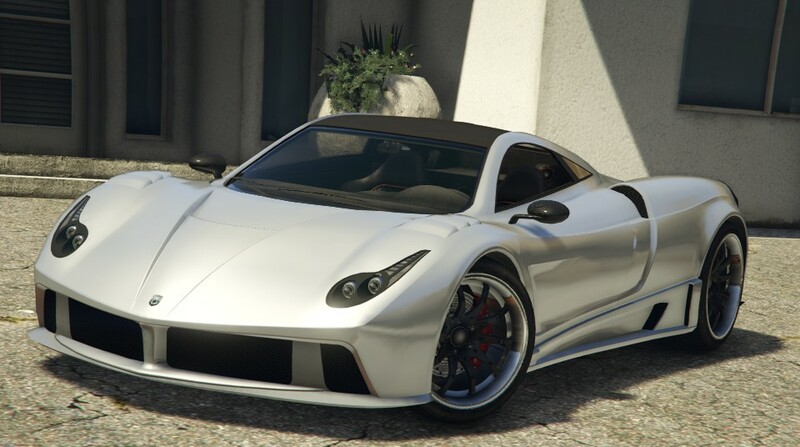 When the player turns on the cars lights, it also illuminates the front Pegassi logo on the car. 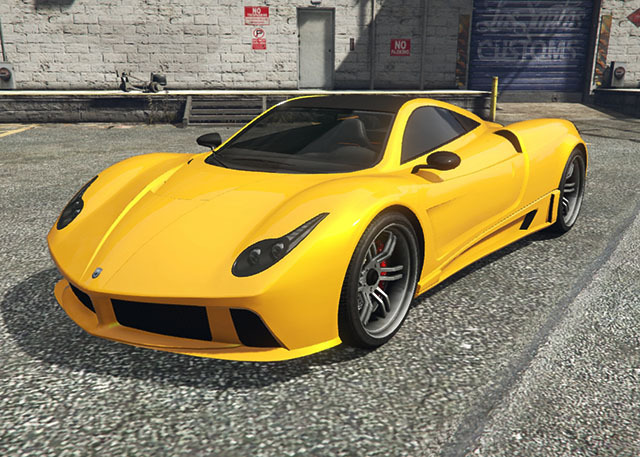 The same occurs with the Turismo R, Cheetah and the Lampadati Casco.